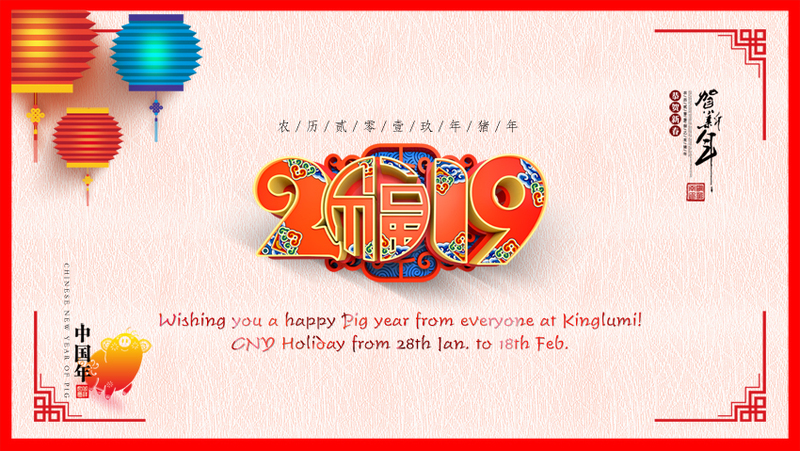 Kinglumi factory will be closed for CNY holiday during Jan 28th to Feb 18th. May the Year of the Pig bring you an abundance of wonderful blessings! From your friends at Kinglumi!